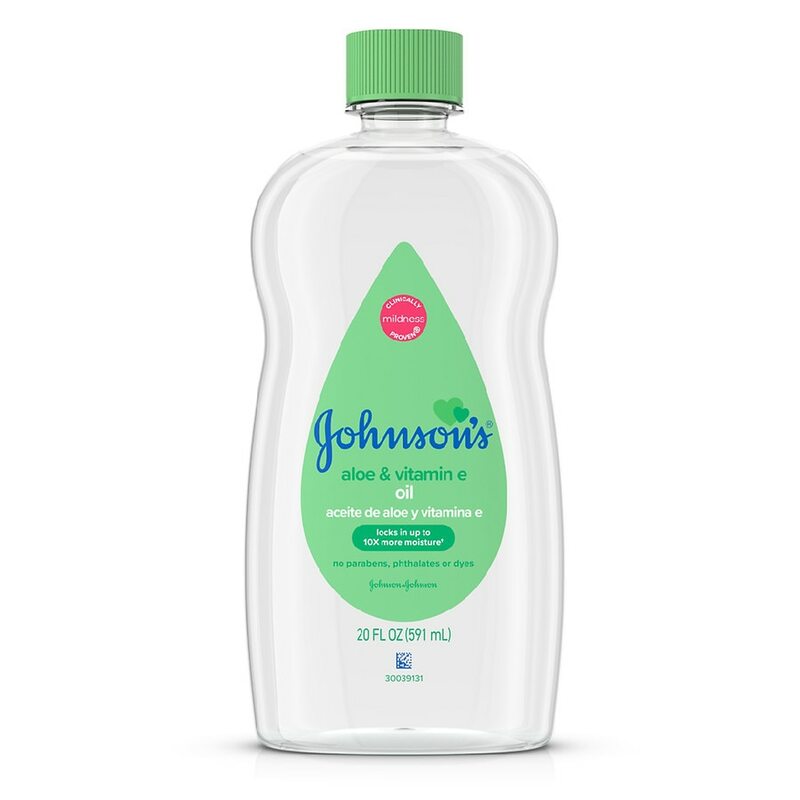 Our Johnson's Baby Oil is enriched with natural Aloe Vera, known for its dry skin-soothing qualities, as well as Vitamin E, a known skin conditioner. It forms a silky barrier to prevent excess moisture loss and protect against dryness, leaving baby's skin soft and smooth. This moisturizing oil locks in up to 10x more moisture *on wet skin than an ordinary lotion can on dry skin. This allergy-tested gentle oil is great to use for a baby massage and parent-baby bonding. Use after bath, for a gentle massage, or anytime you want to help seal in moisture and refresh dry skin. Baby massage can be a relaxing, bonding experience for you and your baby. TO USE: Gently massage onto damp skin after bathing to leave skin feeling baby soft. Works best on damp, not dry skin. *on wet skin compared to an ordinary lotion on dry skin. For external use only. If rash occurs, discontinue use. Keep out of children's reach to avoid drinking and accidental inhalation which can cause serious injury. Should breathing problems occur, consult a doctor immediately. Do not use if quality seal is broken.